Our state-of-the-art service and parts facility is located separately from the showroom just off Utopia Parkway in Flushing, NY. In addition to maintenance and repair services, we offer dent removal, collision repair, detailing, and a full line of parts and accessories. Our service facility houses 37 service bays, each manned by a Mercedes-Benz factory trained technician. Our most experienced technician received Master Certification 35 years ago, and on average, our technicians have been with us for over 5 years. Our service advisers are in constant communication with technicians – and with you. Whether communicating in person, by phone, email or text, they strive to be clear and transparent, offering prudent advice. They know the product like no one else and will service your Mercedes-Benz right the first time. We respect your time and have your convenience as our top priority. Our Express Service allows us to service your vehicle in an hour or less! No appointment necessary. Now you can get high-quality service with minimal interruption of your day. Even More Great Reasons to Service with Helms Bros., Inc.
– Convenient Saturday service hours. 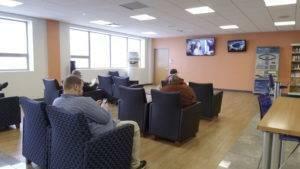 – Complimentary coffee, beverages, and snacks. 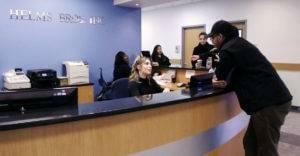 – Customer Service Lounge with complimentary Wi-Fi, private workstations & children’s play area. – Complimentary shuttle service and Mercedes-Benz loaners available with scheduled service, regardless of where you purchased your vehicle. *Price advertised for Service A/Service B includes all factory-required components. Please refer to your maintenance booklet for the complete list of factory-required services and details on the specific intervals for your vehicle’s year and model. For MY09 – newer. Monthly Specials & STAR CLUB Membership Rewards – Earn pts every time you service w/ us! 171-10 Station Road, Flushing, NY 11358Our state-of-the-art service facility was built in Flushing to give us more room to better serve you. By having a dedicated service center, you can ensure that your Mercedes-Benz always gets the care that it needs. We serve all the surrounding New York City areas including Bayside, Queens, Great Neck, Jamaica, Bronx, and Queens Village. 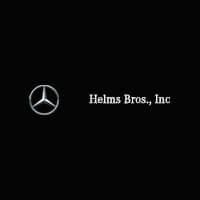 When you need Mercedes-Benz service or maintenance that you can count on, you can count on Helms Bros., Inc.
With our VIP rewards program, your loyalty will save you money when it comes time to service. By purchasing at Helms Bros., Inc., you are automatically entered into our VIP program. Earn points for every dollar spent, redeemable towards future services on your Mercedes-Benz. 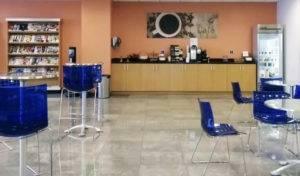 You can also take advantage of our in-house Wi-Fi, Saturday service hours, reduced dent removal prices, and our complimentary coffee and snacks. Get the VIP treatment you deserve and service at Helms Bros., Inc.!